Dental Sedation Dentist – Get Put to Sleep for Dental Work? Our dental practice specializes in treating patients who cannot tolerate dental procedures without the use of sedative drugs and sedation dentistry. Gary Adams DDS is a sedation dentist located in Burtonsville near Silver Spring and Columbia in the Maryland DC metro area. Dr Adams can even do dental X-rays and regular cleanings under twilight or full sedation if necessary. Many patients have fear of the dentist and cannot tolerate dental work without sedation or getting put to sleep. If pills and laughing gas have not worked for you. If you gag a lot, have severe tooth sensitivity and/or trouble getting numb, we invite you to come in for a complimentary consultation to see what we can do for you today. People travel from all over the DC and Baltimore metro areas. We also have patients who travel from across the US and abroad. 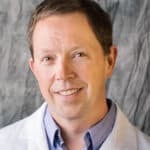 Most people seek Dr. Adams out because of his unique ability to handle a large range of dental problems including, dental implants, temporomandibular joint dysfunction and sedation. Dr Adams, our dental anesthesiologist, can sedate for routine and complex dental procedures. 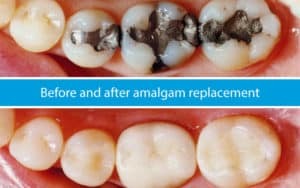 You can get put to sleep for even a simple tooth filling or cleaning if need be? We offer different sedative dentistry techniques including full intravenous sedation, twilight and conscious oral sedation. Finding a dentist who sedates can be difficult for routine dental work. Most dentists that sedate are oral surgeons who are doing complex oral and maxillofacial surgeon services. What separates our sedation office from others is that Dr. Adams sedates for routine and complex procedures. If you are confused about what level of sedation is best for you, schedule a sedation consultation and we can determine what option is best for you. In Reality, dental work with dental sedatives is likely more safe than dentistry without sedative drugs. When people are fearful of the dentist, they experience higher cortisol and adrenaline levels. These hormonal increases cause elevated heart rate, blood pressure and a general flight or flight response. These systemic challenges can increase the chances of someone having a dental emergency such as heart attack, stroke, asthma attack, allergic reaction and many other medical problems. Also when a patient is more calm and comfortable, it is easier for the dentist to work. The dentist can do high quality work with a calm, still and cooperative patient. It is also less likely to have a patient accident, such as a tongue or cheek getting cut. Can Any Dentist Put you to Sleep? No. 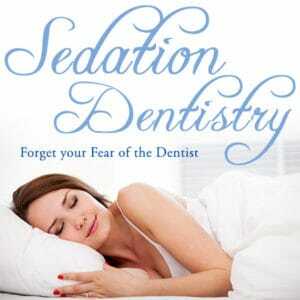 Sedation is something that requires special training above being a dentist. To offer sedation, the dentist needs to be certified by the Maryland Board for Sedation. There are different levels of sedation including mild, moderate, deep sedation and general anesthesia. Forms of mild anesthesia include laughing gas or a single oral dose of something such as valium. Most Dentists can easily get training for mild sedation. All other levels are normally done with intravenous dental sedatives and require rigorous training in the areas of medicine, anesthesiology, emergency training and IV sedative drug management. What procedures can be done under dental anesthesia? Sedation at the dentist will change your life and attitude to being positive about going to the dentist office. How to Sedation in the Dental Office Safety? During your procedure, your vital signs are monitored very closely. We have two board certified sedative dentists in the office for your safety. IV sedation is the method of choice in our office due to it’s high level of effectiveness and safety. IV anesthesia can be delivered precisely, quickly and accurately through an IV. The Sedative medicines can also be reversed immediately with the use of other reversal medications at any time. The ability to easily “reverse” sedative drugs is what makes IV sedation so much safer and more precise than oral sedation. It is a lot more difficult to reverse the effects of an oral medication too. The sedation staff at Maryland Holistic Dentist are also ACLS certified and can handle sedation emergencies. Any holistic dentist procedure can be performed under Sedation including removal of amalgam mercury fillings. It is best to keep the patient Calm and Comfortable throughout the procedure when removing infections and toxins from the mouth. During stress and anxiety hormones such as cortisol are released, causing someone to fight the procedure rather healing and detoxification. IV Sedatives allow a procedure to go quickly, smoothly, with less stress. Patients who are sedated for dentistry report quicker healing times, reduced pain and swelling. Sedation is not only helpful for long holistic dental procedures, but encouraged and recommended. You will receive just the right amount of sedatives so that you’ll be completely unaware of the treatment, as if you were asleep. Some patients feel like they were put to sleep. 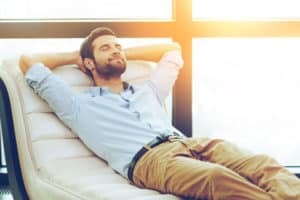 Our sedation dentist does a great job of relaxing our patients both with his even and calm demeanor as well as his sleep dentist techniques. Will I remember anything after sedation dentistry? At the end of the treatment, you’ll have little or no memory of your visit. Retrograde amnesia is a good side effect achieved by the sedation dentist, Dr. Adams. Will I be tired and groggy after? Yes, but you will feel just fine. For your safety, the sedation dentist requires that you have a family member or friend drive you home. You should also not make any big decisions or legal decisions for 24 hours after the procedure. It’s a fact of life that some people are afraid of going to the dentist. We know—and we understand. But it’s also the case that skipping those regular visits to the dentist can cause far greater tooth problems later on. For such patients, sleep dentistry is often a great option. In the past, sedation was only available for oral surgery, but in our office it is available for all procedures. Sedation drugs aren’t just for people who are ‘afraid’ of the dentist, however. Many of our patients are busy professionals and parents. Sedation is an increasingly popular option for people who need work done, but who don’t want to chop up their busy schedules to get done large amounts of overdue dental treatment. Sleep dentists say they are able to get four times as much work done for patients who are comfortable sedated, and in half the time. 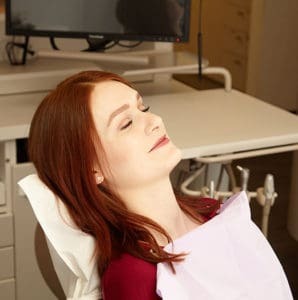 Sedation is ideal for patients who have extensive dental needs where several dental procedures normally requiring several dental appointments can be done in one appointment. Sedation is also great for severe Dental Fear and Anxiety, patients with strong gag reflexes and people who have difficulty getting numb. Can any Dentist use Sedation Drugs? No. In the state of Maryland, as in most states, sedation dentists must meet stringent criteria mandated by the State’s Board of Dental Examiners. Most Dentists Certified for IV Sedation Dentistry are Oral Surgeons. Dentists who wish to do dental work using sedative drugs, must first pass a special residency program in which they work closely with dental anesthesiologists. The dentist must also pass a rigorous oral exam and inspection of his/her office for IV sedation. Does dental insurance pay for Sedation? Not the sleep dentist service normally. Insurance will cover dental procedures under sedation the same as if the patient were not sedated. Oral sedation is great for patients who need a lower dose of sedation. Typically, patients who take oral sedatives will become drowsy, but will stay awake. Your dentist may give you twilight medication to take about an hour before the procedure. IV sedation is much quicker, as it is administered through a vein. This allows the sedative dentist to more completely control the level of anesthesia. The effects of IV drugs can also be quickly and easily reversed. Patients who choose IV anesthesiology at the sedation dentist also typically receive the same local anesthetic they would receive otherwise. Our patients report that being sedated can make a three-hour procedure seem as if it took just five minutes. Most patients will not remember the procedure. With either type of IV sedative technique, we do ask that patients receive a ride to and from their appointment. Is getting put to sleep painful? Maryland holistic dentist is one of just a few full sedation dentists in Maryland. Still searching, sedative dentist, sleep dentist or sedation dentist near me? We are happy to be your local sedation dentist.